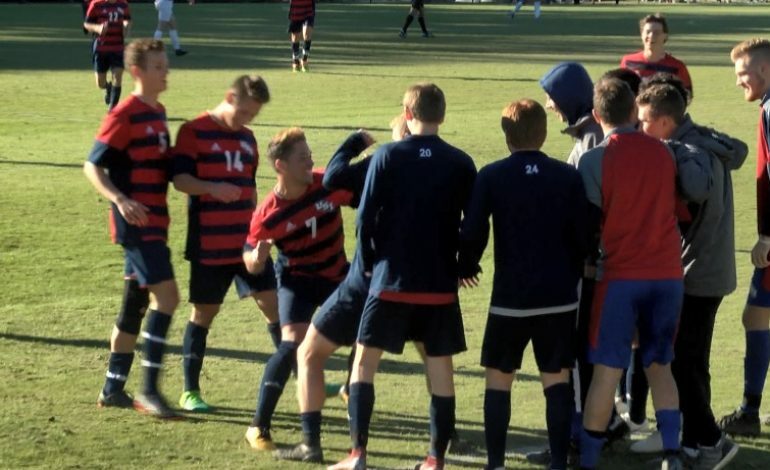 The USI men’s soccer team had not won the Great Lakes Valley Conference regular season title since 1990 before taking down William Jewell 2-0 Sunday. Eric Ramirez started the scoring late in the second half after his cross attempt hit off a Cardinals defender and into the goal. His tally was the first shot to go in for the Screaming Eagles after 26 attempts. However, Ramirez would not have to wait long for another after Justin Brooks set him up for a tap-in goal. USI improved to 10-1-1 in conference play and 12-2-1 overall. The Eagles close out the regular season Wednesday on the road at Lewis University.